Should you have questions regarding membership or application, please call the Membership Office at 212-507-9514 or contact our Membership Director. Access to our clergy for life-cycle events; moments of both celebration and sadness. Opportunities to build community through our many programs, events and volunteer efforts. Open-seating tickets for High Holy Days services, with the option to add reserved seating to your membership. Discounts on classes, lectures and special events at the Streicker Center, our renowned educational and cultural institution. Educational family trips with our rabbi and members of the congregation to Israel and elsewhere. Torah and Talmud classes with rabbinical scholars. Use of our historic sanctuary for family events, including weddings, baby namings and your child’s bar or bat mitzvah. Eligibility for burial at our Salem Fields and Beth-El Cemeteries. Temple Emanu-El is a bold Reform congregation where warmth and majesty meet. As a community, we know that diversity strengthens unity, and we embrace all who wish to participate in Jewish life regardless of age, race, sexual orientation, gender identity or financial means. Whether you want to worship in our sacred spaces or simply long to join a caring community, we welcome you. When you join us at Temple Emanu-El, you become part of the rich history of our congregation, which has served and led the New York Reform Jewish community for more than 170 years. 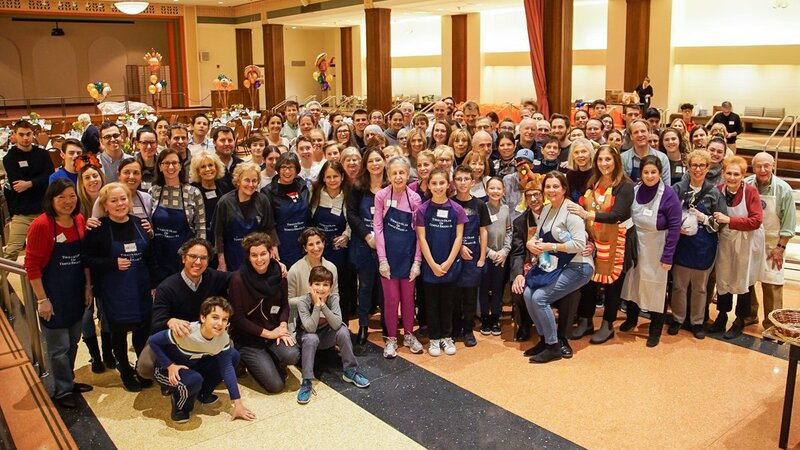 And you become a unique and important individual in our diverse community of more than 2,250 Jewish households, all connected by purpose: To support one another in heart and spirit and to advocate for the oppressed and marginalized in New York City and around the world. Temple Emanu-El is a home for the spirit. Whether weekly or just once a year, you can gather with others in our soaring sanctuary, a space that inspires awe and humility and nourishes the soul. There, our rabbis guide the congregation with insightful sermons that are relevant and thought-provoking, and our cantor, organist and professional choir uplift us with music. As a member, you can also choose from a range of volunteer opportunities, challenge your mind through our educational programs, and enroll your children in our joyous nursery school and one of the most innovative religious schools in New York. An important function of any synagogue is fostering community — connecting members to one another and encouraging the formation of lasting friendships. We invite you to get involved with one of our many clubs and groups for all ages and interests.